Have you recently gone through a home renovation? Are you expecting to renovate soon and are you wondering how you should tackle the clean-up afterwards? If so, you’ve come to the right place, the experts at Dom Care Cleaning specialise in providing thorough residential and commercial cleaning services from post-reno cleaning to end of lease cleaning. We understand the struggles involved in cleaning after a lengthy renovation period and we’re here to help you get through this process. Below, is our checklist that will ensure your home, after your renovations, is as clean as possible, as quickly as possible. The first thing you should do when you’ve undergone renovations is to clean “the basics”. This is referring to household-chore level work like cleaning surfaces; your floors, walls, benches, ceilings etc. After a renovation, you’ll have a significant amount of dust and debris laying around so you can expect it to be a bit more arduous than your regular weekly cleanup. There are some things that can go unnoticed when you’re cleaning after a renovation. You should always clean your ceiling fans because if you turn them on without cleaning them, you’ll be sending dust all over your home. 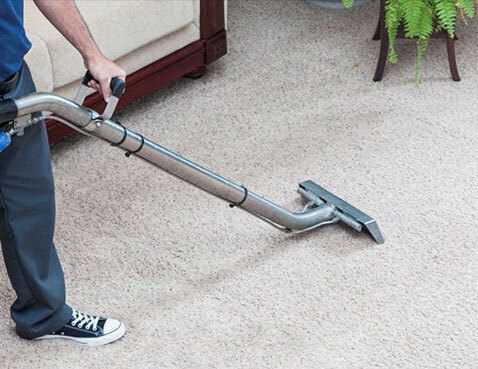 If you have any carpets, make sure these have been vacuumed thoroughly because you may have debris caught in your carpet. All of your windows should be cleaned thoroughly because if not, you might find a layer of dust blocking your view. Next, you should look over your light fixtures. This will provide your home with the best lighting possible and will prevent grime from contaminating the rest of your home over time. Just like inside your home, you can expect for a significant amount of debris to collect outside your home. For this reason, you should clean your entrances, your patio, and your porch. It’s also important to clean your driveway because larger pieces of debris may damage your car when you park. A deeper cleaning option like pressure washing might be worth considering. After you’ve cleaned your floors, walls, etc., you should remember to clean your kitchen. You have to clean your cupboards, stove, oven, and fridge thoroughly. When you’re dealing with surfaces that will touch your food, you can’t leave anything to chance. If any dust or debris left behind and you consume it when you’re eating your food, your health is at risk. If you’re going to spend a significant amount of time in a room, you need to make sure the air quality and overall surfaces are clean. Clean your counters, shower, bath, toilet, and mirror. Like the kitchen, you should be disinfecting any surfaces that may end up with post-renovation dirt, as this is where you clean yourself and brush your teeth, inadequate cleanliness can potentially lead to health hazards. These professionals will have more experience than you at cleaning, so they’ll be able to spot any areas that you’ve missed or forgotten. With a professional service, you can also be assured that only the best cleaning products will be used and you can request services like high-pressure cleaning, duct cleaning or rug cleaning to ensure your home is in the best possible condition. For more information, or to arrange your post-renovation cleaning service, contact Brisbane-based Dom Care Cleaning today for your free, no-obligation quote.